The new Rocky Mountain Sherpa is not just 27+ wheels squeezed into a frame simply because they’re being touted as the next best thing. Rocky is presenting the Sherpa as a specialized adventure tool, capable of handling rugged terrain where traditional mountain bikes falter. 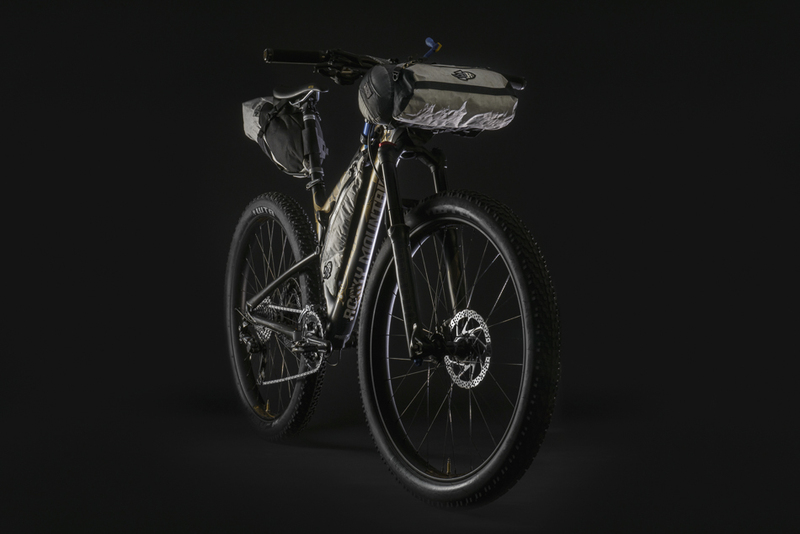 It’s a bike that promises to be capable of taking riders on overland bikepacking adventures on wierd, wild and diverse surfaces. Rocky prioritized front-derailleur compatibility, acknowledging the need for a wide gear range on the paved sections encountered on many bikepacking routes. The rear end is not spaced to the new Boost 148 standard because the wider axle wouldn’t have left enough real estate for both a front derailleur and clearance for a 3.25 tire. The Sherpa is specced with Manitou’s McLeod fork and Cloud rear shock, both of which offer distinct advantages for 27+ bikes. The Cloud requires less pressure than most rear shocks, which is a boon for riders who are loading the frame with weighted bags. 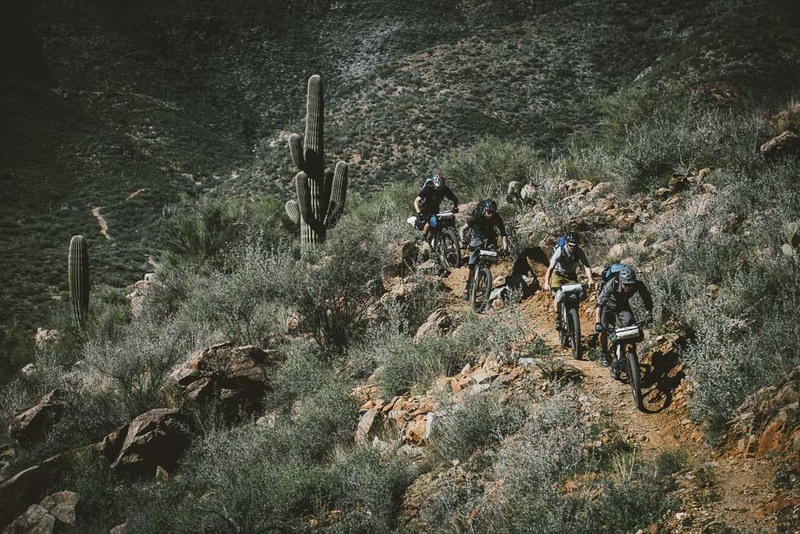 Meanwhile, the McLeod is claimed to be supple enough off the top that the big, soft front tire in between it and the trail won’t lessen its small bump sensitivity. 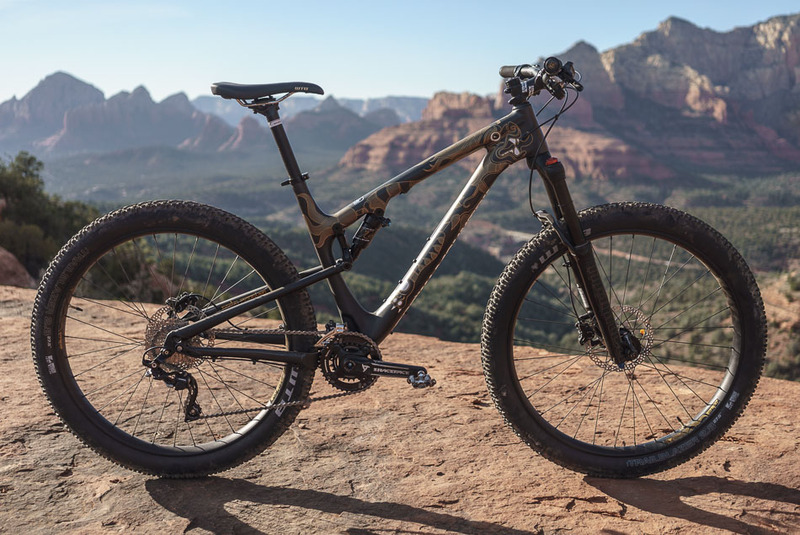 The Sherpa is the world's first full suspension 27.5+ bike, but we're not using the new "skinny fat" wheel size to jump on a bandwagon. 27.5+ wheels are not 27.5 and they're not 29—they're not a replacement for any other wheel size and our "regular" bikes aren't going anywhere. Everyone put their pitchforks down. 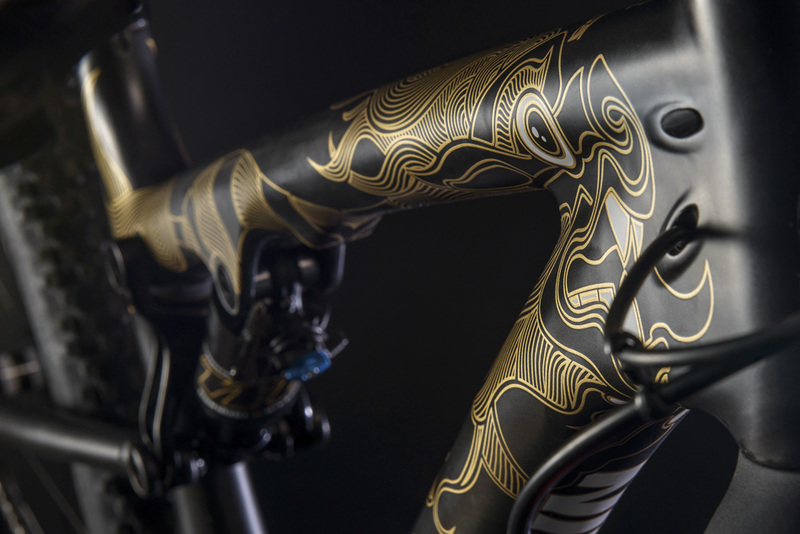 For all their advantages, they are slower and heavier than traditional 29er systems on smoother terrain. So if you're looking to win an XC World Cup then 27.5+ probably isn't for you. Also, more volume means their sidewalls are taller than traditional tires, limiting cornering stability. A Landcruiser isn't great at the racetrack, but hits its stride when things get rough.